I have a family member who sometimes likes to eat peanut butter by itself -- no bread, crackers, etc. For sanitary reasons, we do discourage eating directly from the jar, but that poses a quandary in terms of clean-up. (He also has a habit of not quite finishing, leaving a spoonful or two of peanut butter on the plate/bowl/whatever.) Not only do I generally end up with a couple dirty spoons, but also some small container or plate with leftover peanut butter. Of all the things I have to clean in the kitchen, I have to say peanut butter is perhaps the most annoying. If you put it in the dishwasher directly, I still sometimes find residue left (and if there's too much peanut butter left on, the oil can even leave residue on other dishes). It doesn't dissolve easily even in hot water (at least not in any reasonable amount of time), it "gunks up" just about any cleaning device you might use (sponge, rag, brush, even gloves worn while dishwashing, etc. ), and the oily element ends up contaminating any dishwater or other dishes around. My only solution so far is to always leave any peanut-butter contaminated stuff to the very end of any handwashing of dishes I'm doing, then use the remaining dishwater to rub off most of it with my bare hands (to avoid contaminating other scrubbing devices), then put the stuff in the dishwasher for a final cleaning. That still often coats the sink or any dishwashing bin with a bit of peanut-smelling oil, which then has to be rinsed again (with more soap). And my hands end up smelling of peanuts. I always feel that I end up wasting a lot of hot water just to deal with a few peanut butter utensils or containers. Alternatively, I have sometimes resorted to paper towels, which also seems wasteful. Is there a better/easier way to wash away peanut butter, or even a better way of handling/finding an eating surface for peanut butter? The problem is the fat. You would have the same problem with a spoon full of shortening. Since fat doesn't normally mix with water the fat makes a film that gets on everything. The solution to fat- or rather to make a solution of fat- you use soap. You are trying to wash away a very large quantity of fat so it takes a lot of soap. Instead, scrape the majority of the fat into the garbage. Apply a liberal amount of soap and work it into a solution with the peanut butter residue. The peanut oil, now in solution, will wash away nicely without coating everything. The answer I've found is waste paper—newspaper, junk mail, whatever I have handy in the recycling bin. As you've probably noticed, peanut butter doesn't wash off very well, but it does wipe off quite easily. The oil that makes it so hard to wash with water makes it slide right off with the right kind of friction. Of course you don't want to use anything that itself needs to be washed, since then you're back to the "peanut butter doesn't wash" problem, and for big or frequent jobs paper towels do seem rather wasteful. Luckily, since you will be washing the dishes after they are wiped, you don't need sterile paper towels. Using any moderately sturdy (but not too stiff) paper, you should be able to wipe off virtually all of the excess peanut butter. Dispose of the paper and peanut butter in the trash or compost, and wash the dishes the usual way. One solution that I've seen proposed for measuring fatty ingredients, like olive oil, is to coat your container with water before filling it with fat. Because the water and fat repel each other, less fat will stick to the container. There will still be some residue where the water coating wasn't completely covering the surface, but it should be less. 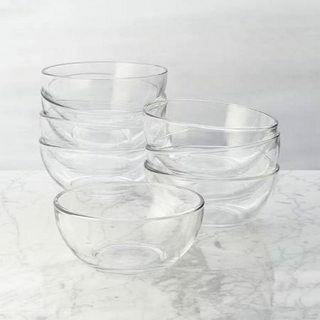 However, this technique might be less appealing for serving fats, as you need a significantly wet plate or bowl for this to work. You'll need to see whether it is acceptable to your small person. When it comes to peanut butter, which is fairly solid, I find it generally helps a lot to use baby-wipes to round up most of the peanut butter. On most surfaces, it's pretty easy to gather it up and toss it in the bin. My own kid also eats a lot of it and smears it on his tray or the table, but a quick wipe on his plastic tray is enough to clean off all the residue. After that, any dishes can safely go in the washer. First thing scrape with rubber spatula and soak with water and detergent. I like a bowl as it is easier to hold in one hand while scraping but a small plate should work. Then save for last and sponge out. I know not the stated question but peanutes are very easy to clean up after. Give them the option of peanuts. Salted, unsalted, dry roasted, and honey covered. Peanuts and peanut butter are very high in fat. Make em chew if it will slow them down. I use paper towel or used paper napkin to wipe away the peanut butter also do the same on any extra greasy cup or plates. then wash it with detergent as usual. Not the answer you're looking for? Browse other questions tagged cleaning peanut-butter or ask your own question.